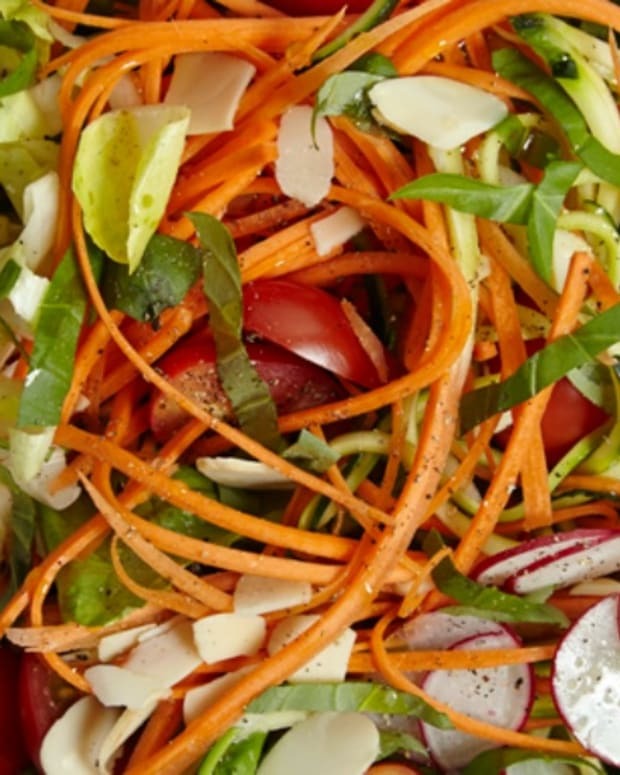 It doesn&apos;t get simpler than this salad, leave out the cheese if serving with a meat meal, keep it in and make it a light lunch with some crusty bread. 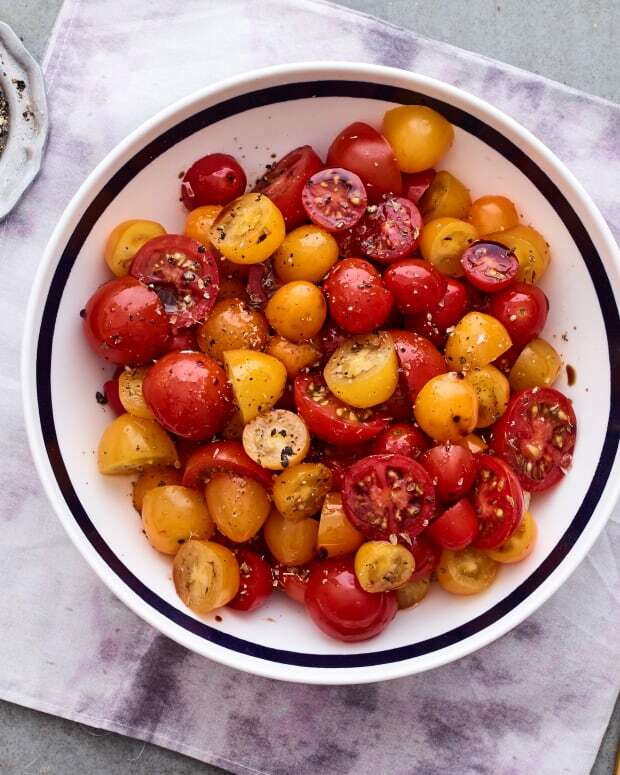 Summer tomatoes don&apos;t need much to make them shine. 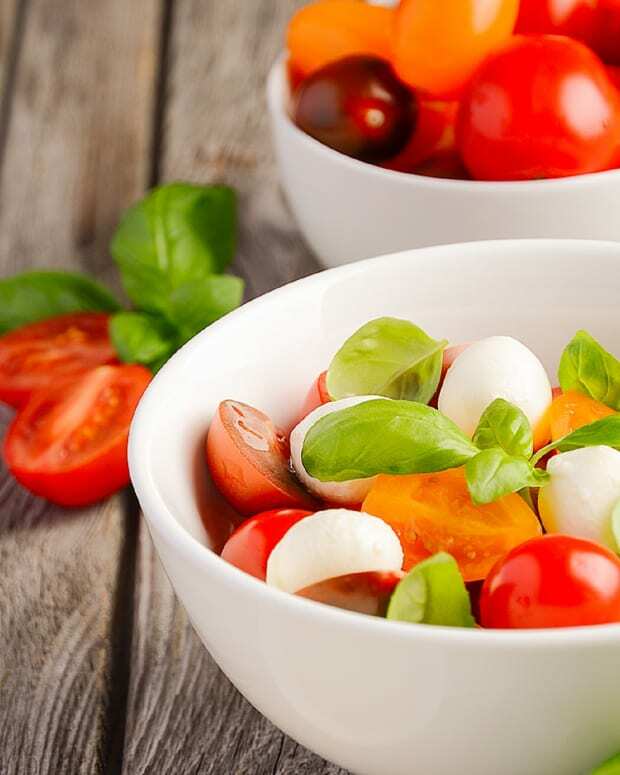 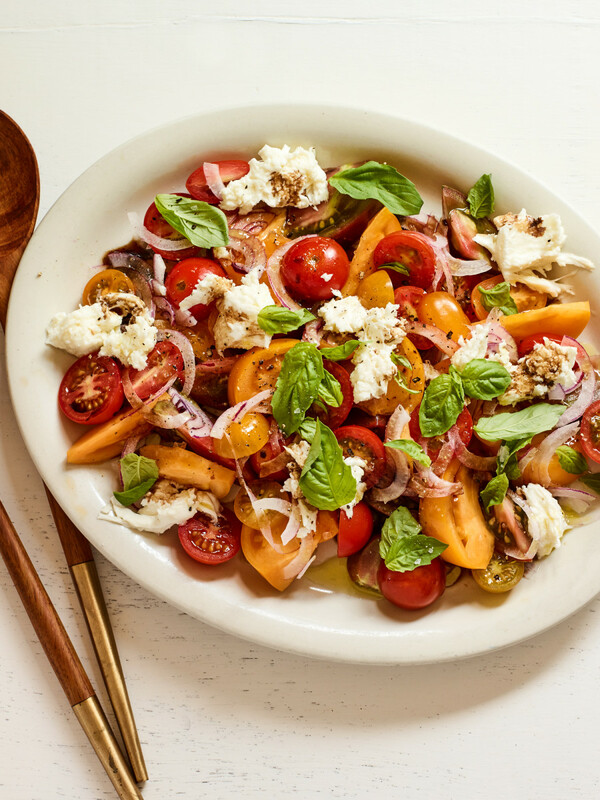 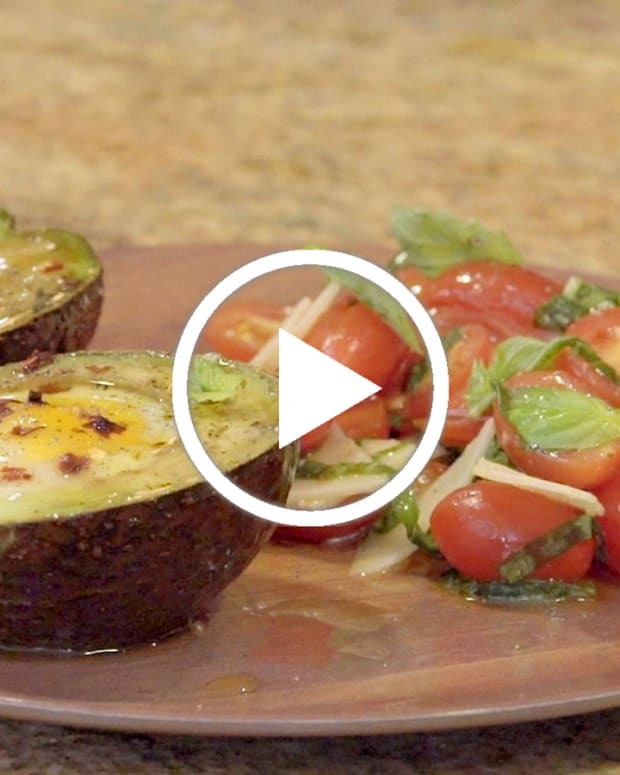 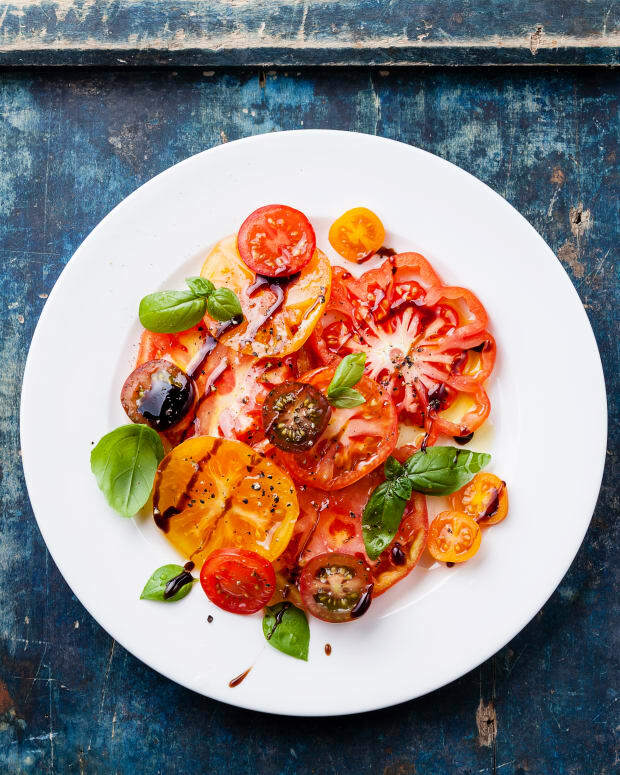 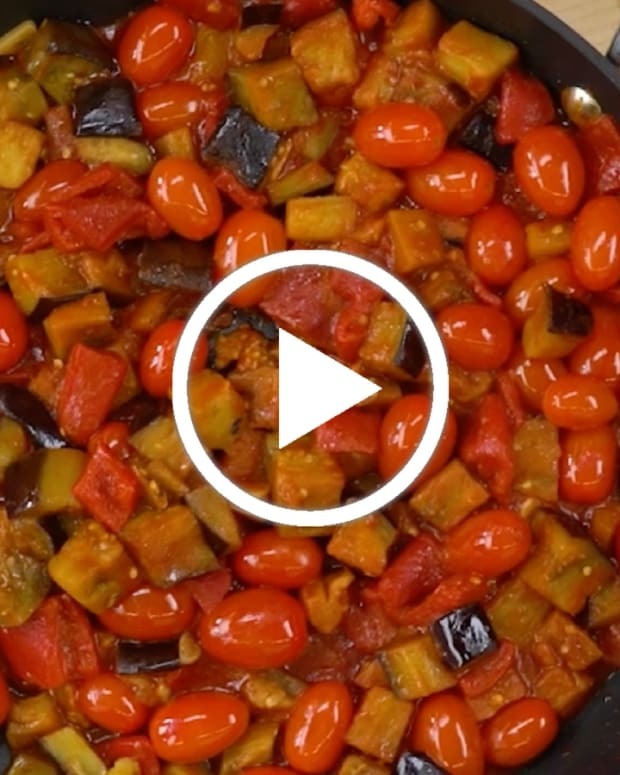 In a medium mixing bowl, combine tomatoes, onion, basil, evoo, balsamic, salt, and pepper.